Wooden Recreation Signs Brush Pack - Free Photoshop Brushes at Brusheezy! It's a beautiful day - we'd love to meet up with you for a hike!! With these new Wooden Recreation Signs Brushes, you'll be able to plan your year with awesome activities. Included in this pack are hiking signs brushes, camping brushes, biking signs, horseback riding brushes, and so much more. 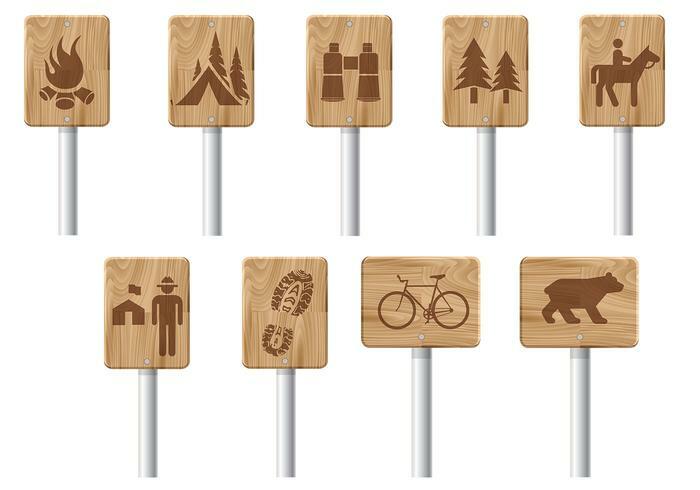 Head over to Vecteezy for your next outdoor adventure and download the <a href="http://www.vecteezy.com/Signs-Symbols/36699-Wooden-Recreation-Signs-Vector-Pack/premium">Wooden Activity Signs Vector Pack</a>!